Walter Wellesley “Red” Smith was the most widely read sportswriter of the last century and the first to win the Pulitzer Prize for commentary. From the 1940s to the 1980s, his nationally syndicated columns for the New York Herald Tribune and later for The New York Times traversed the world of sports with literary panache and wry humor. “I’ve always had the notion,” Smith once said, “that people go to spectator sports to have fun and then they grab the paper to read about it and have fun again.” Now, writer and editor (and inventor of Rotisserie League Baseball) Daniel Okrent presents the best of Smith’s inimitable columns—miniature masterpieces that remain the gold standard in sportswriting. Here are Smith’s indelible profiles of sports luminaries, which show his gift for distilling a career’s essence in a single column. 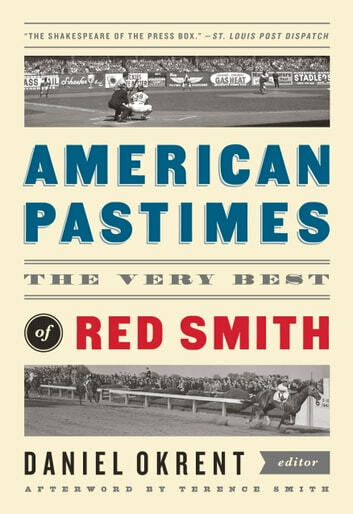 Unforgettable accounts of historic occasions—Bobby Thompson’s Shot Heard ’Round the World, Don Larsen’s perfect game in the 1956 World Series, the first Ali-Frazier fight—are joined by more offbeat stories that display Smith’s unmistakable wit, intelligence, and breadth of feeling. 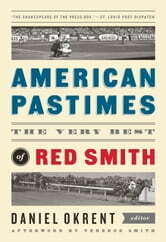 Here, too, are more personal glimpses into Smith’s life and work, revealed in stories about his lifelong passion for fishing and in “My Press-Box Memoirs,” a 1975 reminiscence for Esquire collected here for the first time. A Special Publication of The Library of America.